We are Europe’s leading disinfection service provider. We provide a rapid response for a wide range of industries including Healthcare, Pharmaceuticals and Food facilities. We are available to deal with outbreaks 24 hours a day, 7 days a week, 365 days a year! We also cover the Middle East and North Africa as well. The IC Solutions Disinfection Service enables facilities to combat and prevent outbreaks of healthcare-associated infections (HAIs) such as H1N1, Clostridium Dificile, Acinetobacter Baumannii, MRSA, Mycobacterium Tuberculosis, Vancomycin-resistant Enterrococcus (VRE) and many others. Available where and when you need it, our experienced service teams utilize proven ionised (iHP) dry mist technology to uniformly diffuse a safe solution of hydrogen peroxide for effective decontamination. We offer Europe wide service options including Emergency Call Outs (within 24 hours), as well as Programmed Delivery or Onsite Managed Service programs for preventative decontamination. 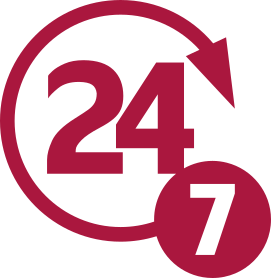 IC Solutions 24/7 Ltd are Global leaders in the supply of products and services relating to environmental decontamination. Ionised Hydrogen Peroxide Fogging Technology is an excellent choice when it comes to decontamination within all sectors including; healthcare, education, food preparation, biotech, biomedical, biologics and pharmaceutical sectors to name just a few. A range of equipment and services are available, designed to provide bio-decontamination of equipment, vehicles, rooms or entire facilities. iHP is the clear choice when replacing traditional formaldehyde or chlorine-based applications offering fast, residue-free and repeatable cycles within a sensitive and controlled environment. These solutions are applicable for airborne and surface contamination control and unlike some other alternatives, we use a “dry mist” solution, this means electrical equipment including computers etc are completely safe to be left in-situ while the fogging takes place. Across Europe we are seeing ionised hydrogen peroxide fogging being used in offices, retail stores and public transport, in fact it can be used wherever people congregate and there is the risk of infection. Administered by trained technicians, decontaminating laboratories, whole wards or departments/rooms in under three hours from start to finish!